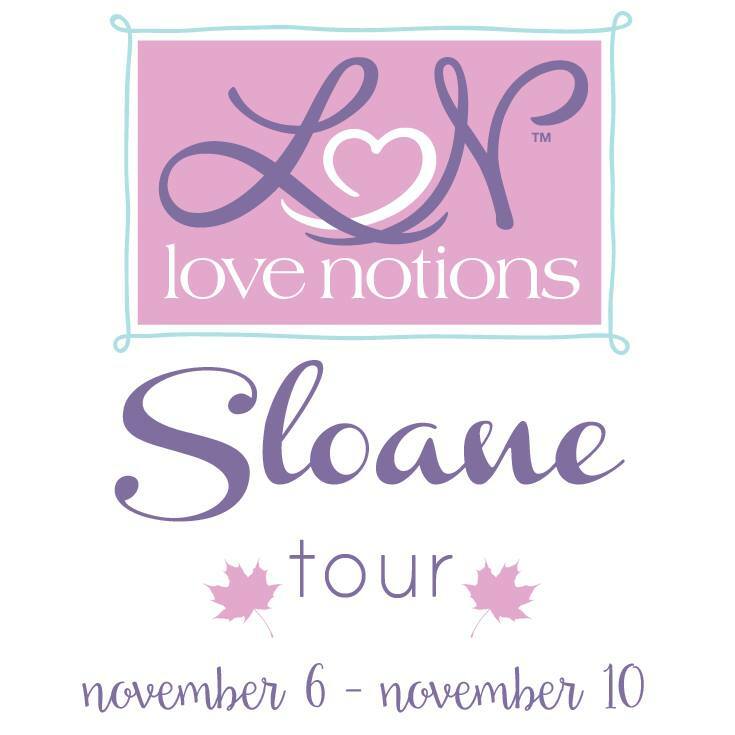 Hello and welcome to my stop on the Love Notions Sloane Sweater Blog Tour! 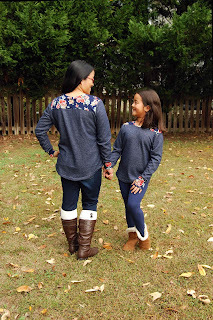 For my stop on the tour, I sewed up matching Sloane sweaters for my mini and I! Now that it's finally feeling like fall, we are comfy, cozy in our french terry Sloane sweaters! 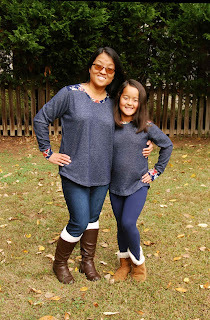 I sewed up a size small Ladies Sloane sweater for myself and a size 8 girl's Sloane sweater for Missy. 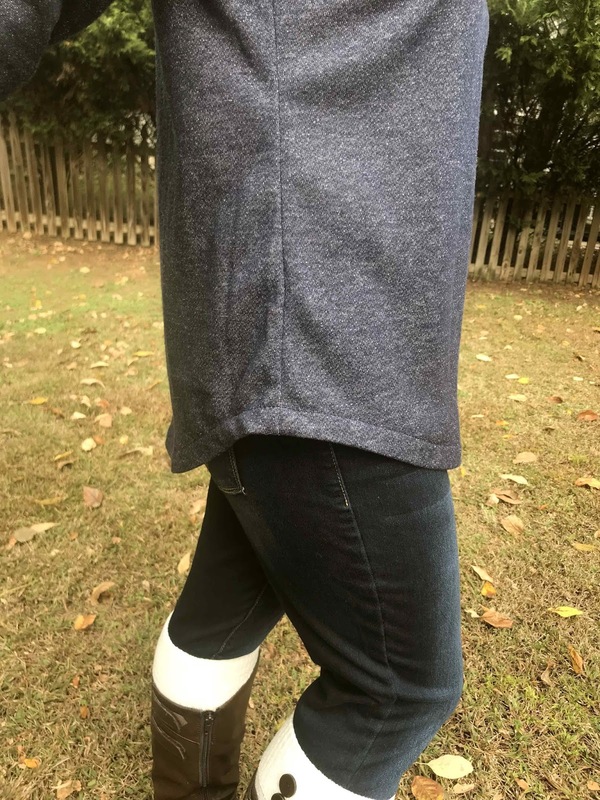 Both versions feature shirt-tail hems and a contrast back yoke, cuffs and neckband in brushed poly. 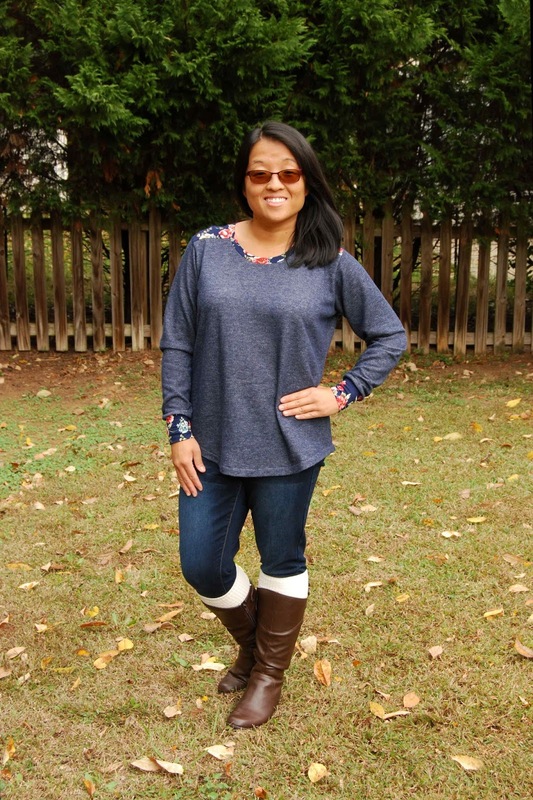 Missy's Love Notions Sloane Sweater is a straight size eight with no modifications. However, because I am petite, I did shorten the sleeves by 1 1/2" and the bodice by 1/2". 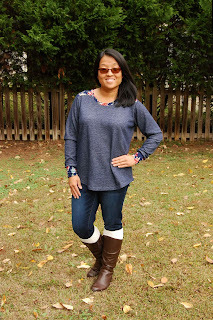 Hubs managed to get some good pictures of me in my Love Notions Sloane Sweater. We did not, however, manage to get good pictures of just Missy in her version because... well... kids. KIDS.MOVE.ALOT.AND.IT.WAS.STARTING.TO.RAIN. Ya' know how it goes... hahahaha! The only difference between our two shirts is the fact that Missy's Sloane sweater includes the fun thumbhole cuffs found here. She's been all about thumbholes, lately, so it was the perfect addition to her wardrobe! 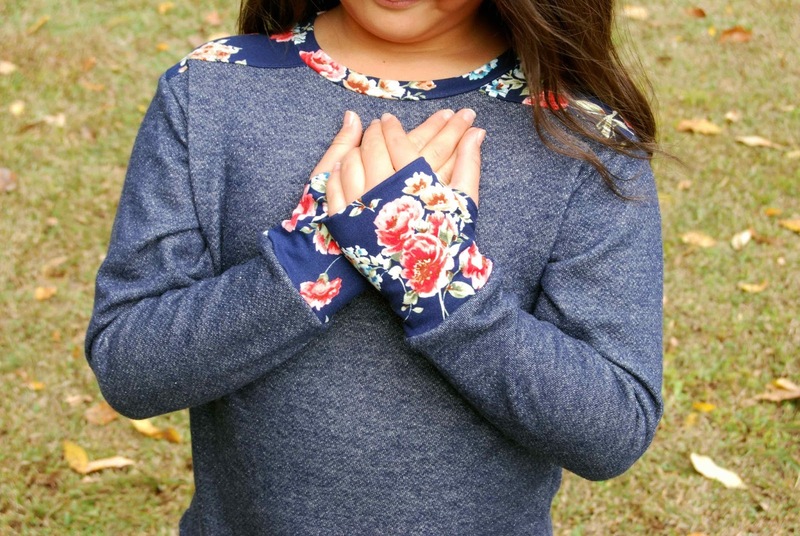 I've sewn lots of Love Notions patterns over the years, and I'm sure that I will sew up many, many more. 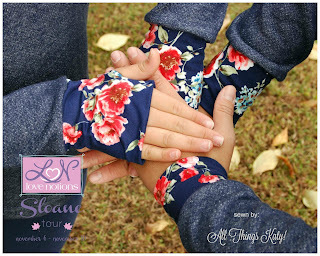 However, I'm always amazed and pleased that Tami, the creative brains behind the brand, is able to anticipate exactly where in a pattern that I may need a little extra hand-holding. 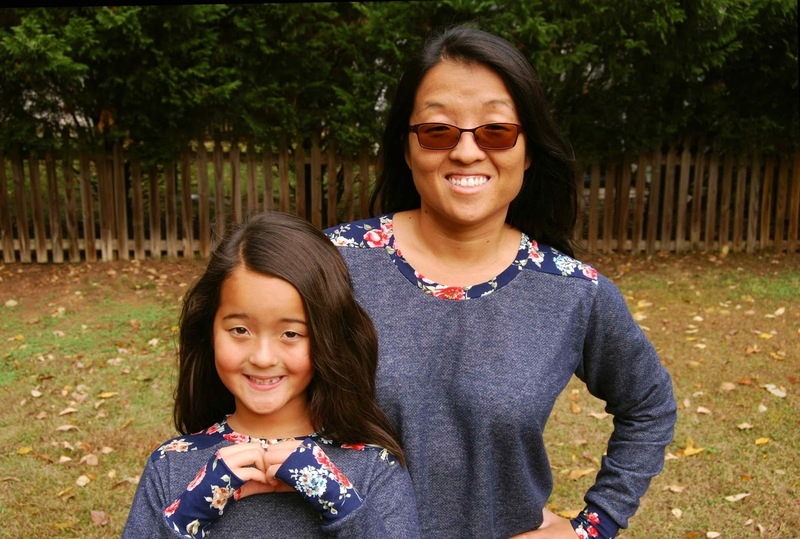 For example, when sewing up the Sloane Sweater contrast yoke, quartering the neckline in order to attach the neckband can be a bit tricky. Have no fear, though, there are are perfectly placed notches in the pattern to guide you (when I was cutting out the fabric I didn't even realize how important those little notches would be come, later! Thank you! :). 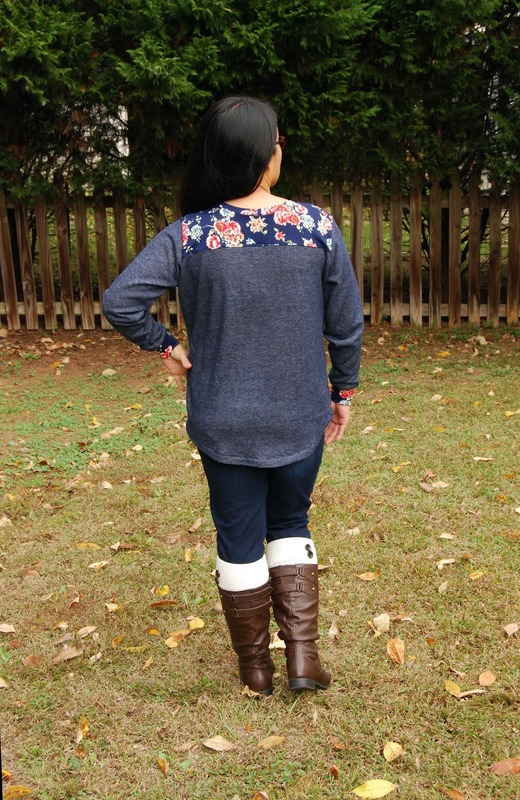 I love that the Love Notions Sloane Sweater can be sewn up for all aspects of life- work, play, vacation, holiday. 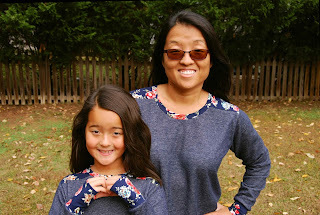 Plus, the Love Notions Sloane Sweater looks just as good on a seven year old as it does an (almost) 37 year old... ;-) Comfy to wear, fun to sew! 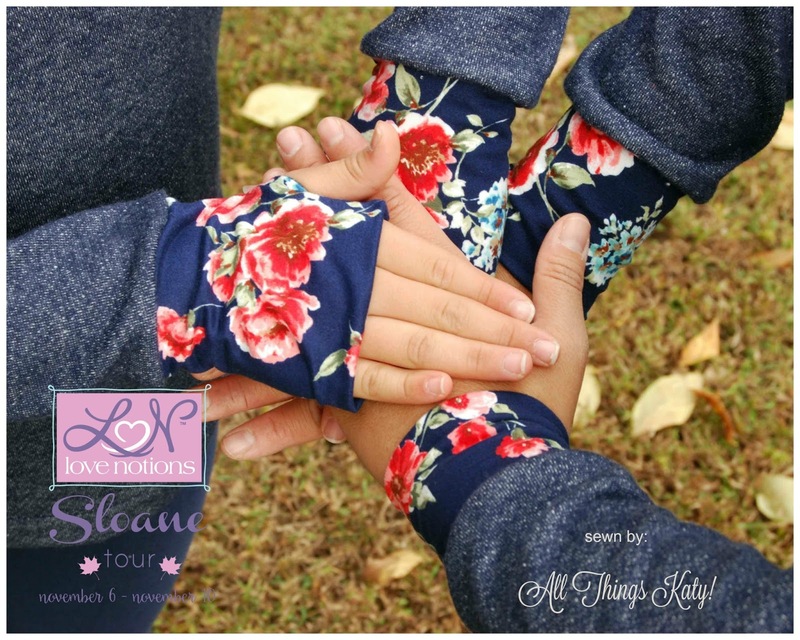 Be sure to check out the other talented bloggers on the Love Notions Sloane Sweater tour!